Cutting edge interiors meet orginal features such as including frescoes, columns, vaulted ceilings and oval spiral staircases. 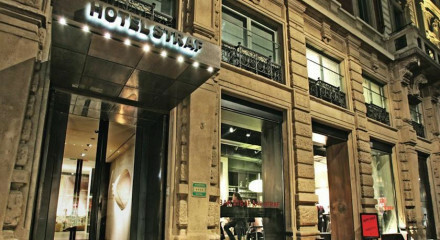 Oozing romance from every pore, with ortuny fabrics, deep soaking tubs, chic restaurants and effortlessly glamourous feel. Parking on site at EUR 55 per day. Just down the road is the splendid Teatro alla Scalla opera, enjoy pre-dinner and drinks at the hotel. Spend a 'me day' in the luxury spa or at the elegantly designed indoor pool. 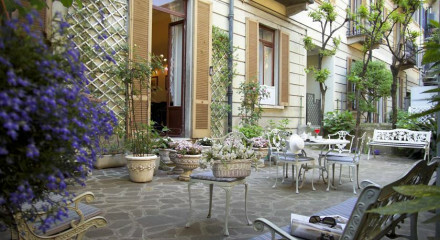 Walking Tours can be arranged and are a great way to see the art and architecture of Milan. The restaurant holds wine tastings as well as local artisan produce fairs. 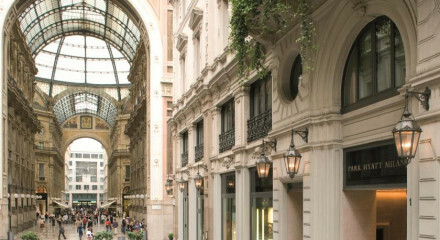 Via Gesu, Mecca for connoisseurs of contemporary Italian couture, is right outside the entrance- impossble to resist! The Cathedral is only a ten minute walk away and is well worth checking out. 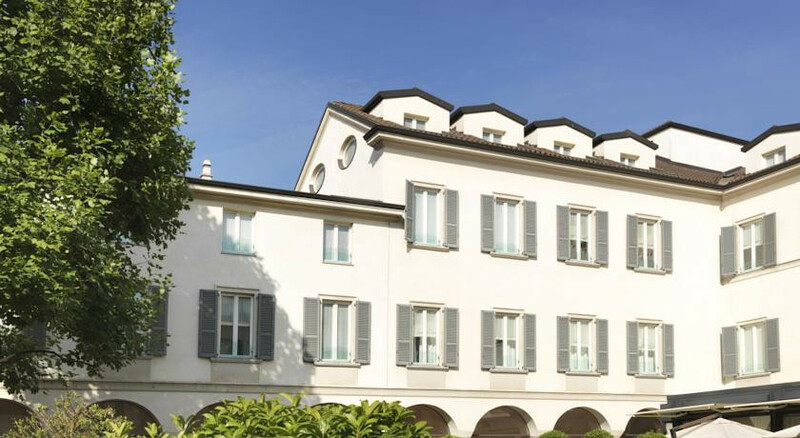 "Close to the heart of Montenapo, Milan's 'rectangle of fashion', a 15th-century convent has been transformed into one of the city's best hotels."